Amethyst is associated with the sixth Chakra also known as the Third Eye Chakra. This chakra is located above your eyebrows and is associated with spiritual awareness, psychic power, intuition and light. 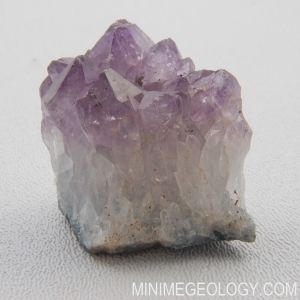 Amethyst is also associated with the seventh Chakra, or the Crown Chakra. This chakra is located at the top of your head and associated with enlightenment, cosmic consciousness, energy, perfection, spirituality and intelligence. Stone Color: Purple / Violet / Indigo.